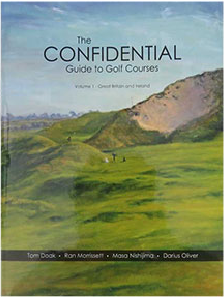 This all-new edition of The Confidential Guide to Golf Courses will be published in five volumes, which will cover more than 2,500 of the world’s best courses. Volume 1 is available now and features Great Britain & Ireland. These reviews will provide honest and unvarnished views from the authors that will help you plan your golf vacations, business side trips and golf adventures. Volume 1: Great Britain & Ireland has SOLD OUT in Australia. One of the ballsiest books ever written.